Electro magnetic fields (EMF) are fields given off by anything that uses electricity or the cables that supply it. The study of EMF came through the work of scientists in observing increased incidence of childhood leukemia close to power lines. Some subsequent research has suggested that long term exposure to EMF could increase the risk of cancer, miscarriage and depression. So it is important to know what gives off EMF and how to realistically avoid EMF. From the perspective of chi energy our own natural emotional energy fields will be disturbed by the presence of EMF. We would probably all react differently but I would generalize that this increases feelings of tiredness, lack of concentration, reduced ability to cope with stress and an increased risk of headaches. Being in the presence of EMF for long periods increases the risk of free electrons entering our body’s and potentially upsetting the structure of our more vulnerable cells. Our natural defense is to use antioxidants to neutralize these free electrons. 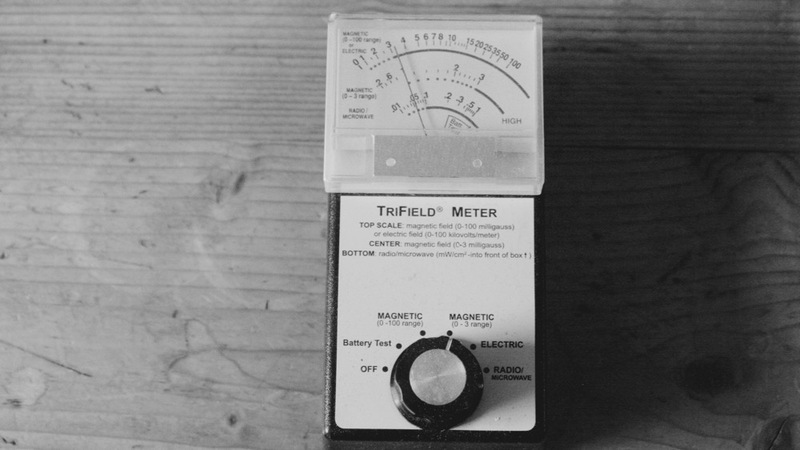 I have been using a Trifield EMF meter to measure the EMF, electrical radiation and microwaves present in homes and offices. Here are my observations on how to avoid EMF in homes and offices. Most common sources of EMF only extend about a metre or yard from the source. These could include computers, music amplifiers and speakers, TV, telephones, DVD players, fax machines, small photo copiers, electrical outlets / sockets and computer storage equipment. Low wattage lights and their cables do not give off enough EMF to register. Items with motors and heaters or sending out a signal give off the greatest EMF. Food blenders, juicers, electric cookers, electric heaters, baby monitors, wireless phones, mobile phones and electric hair dryers can create large levels of EMF. Old electrical equipment often gives off greater EMF the modern items. Basement flats and offices are at risk from strong EMF from cables running underground close to the building. Wires inside wall do not give out as strong EMF as wires in plastic trunking fixed on the outside of a wall. Try to keep yourself at least one meter or yard from household or office electrical equipment. Eat foods high in antioxidants such as vegetables, fruits, herb teas, along with other whole grains, beans, nuts and seeds. See macrobiotic information. Earth yourself by walking barefoot, swimming, gardening, touching plants and the soil, taking baths and showers, and walking in nature. Try to be in a deep sleep between 12am and 3am when our body makes a strong antioxidants called melatonin from our pineal gland. To be in a deep sleep by 12am we already need to be asleep by at least 11pm. Plants in the home and office can help reduce the effects of EMF. For help creating a safe home or work place where you avoid EMF call 07543663227 or email Simon.